Do you remember the intrusive feeling when you first heard about these little spy drones? We didn’t have access yet so it seemed unfair and ugly. I remember stories out of the county where people were shooting these little drones down like skeets with their shotguns. That’s the power of the 2nd Amendment by the way. Years later I think it’s time we talk about the possibilities of drones in our preparedness efforts. We have a tremendous resource at our disposal in these drones and it’s important that we don’t turn a blind eye out of fear. 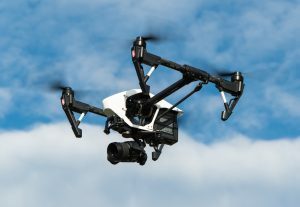 I remember pulling up to work and watching a group of about 10 people standing before a camera drone that was buzzing at eye level before them. They were standing in front of a collection of donor plaques and looking to take a picture of the people and the plaques. The drone buzzed on, looking them in the eyes. In the early light of the morning immediately thought about drones armed with low caliber machine guns rather than cameras executing lines of Americans in just the fashion I was watching. It is this fear that we must overcome before diving into new tech. Understanding the conditions in your immediate area as well as the conditions beyond is incredibly important. If local news is no longer broadcasting you will have no other source for local events. Violent riots, damage to significant infrastructures or clogged roads could all be a mystery without some sort of surveillance and intelligence plan. This may be one of the most underrated pieces of the preparedness puzzle and I think a drone can be a big player in this part of your plans. Drones began in the military and there are ways for you to affix various weapons to drones as well. I have seen drones affixed with guns and other things on videos. In the future, we may be able to purchase our own protection drones. I like the idea of a less than lethal deterrent drone. Imagine a drone that could carry smoke, pepper spray or even a taser. One of these deterrent drones could act to keep people far from your property. You wouldn’t have to worry about the weight of ammo weighing down the drone either. When we talk about survival caches its often a PVC pipe that is buried somewhere or hidden. Well, let’s thing about a resource cache that is in the air. You could land this cache on your own roof or other high spots that would be nearly impossible to find. Now the items in this resource cache would have to be light depending on your drone size. The DJI Agras MG-1 has the ability to carry 20lbs for 24 mins. This could be a great candidate for a small weapon payload or nice resource cache. 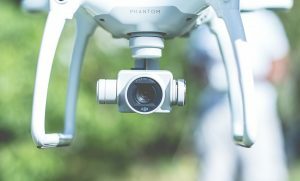 Here are some other great items that could be carried by a drone. These are just three uses for survival drones. I am sure you can come up with more. Leave some in the comments and join us live Wednesday night 9 EST at www.prepperbroadcasting.com where we will be discussing survival drones. Listen to this broadcast or download “Preppers Implementing Drones” in player below! Previous: Previous post: Psychological Preparedness and Shopping Tactics!